While most travelers to Greece head for the islands, I head for the hills — the mountains and valleys of the Peloponnese. Attached to the rest of Greece by a thin isthmus, this rugged land has always seemed isolated from the rest of the country. And while it holds some of Greece's greatest ancient monuments — such as Olympia or Mycenae — there's a lot more to this region. I particularly love the Mani Peninsula — the southern tip of the Peloponnese — empty and wild like a landscape in a Hollywood western. Once struggling with pirates and brigands, today the Mani is a peaceful land of rustic villages and untrammeled beaches. Many Mani towns feature sumptuous, old, fresco-slathered churches — pockets of brightness in this otherwise parched land. Sealed off from the rest of the country by a ridge of mountains, the Mani has, over the centuries, harbored refugees fleeing whatever crises were gripping the rest of Greece. People would hide out in the mountains, far from the coast and marauding pirate ships. And when they weren't fighting foreign invaders, they would fight each other. Clambering up ridges are ghostly, empty villages fortified with towers. The most characteristic is Vathia, built on a rocky spur. This place is an extreme example of what can happen when neighbors don't get along. Years ago there was a feud between clans — Hatfields and McCoys, Greek-style — that's left this village partially abandoned to this day. After spending a day driving around, exploring the Mani's scraggly landscape and contentious history, I enjoy unwinding in the stay-a-while beach town of Kardamyli. If the Mani is the Wild West of Greece, Kardamyli is the saloon where everyone goes for a drink. Compared to your typical beach getaway, it's an anti-resort — relaxed and relatively unspoiled. The people of Kardamyli — determined to keep their town real — passed a law that prohibits new construction over a certain height limit (ruling out big resorts). It also helps that its beach has pebbles instead of sand, which keeps away the party-hearty crowds. Having dinner under a leafy canopy at my favorite Kardamyli taverna brings back memories of my first meal here many years ago. I had settled my chair into the sand under a bare and dangling lamp, and felt a faint but refreshing spritzing. Looking around for the source of the mist, I saw a tough Greek teenager tenderizing a poor octopus by smashing it on a big flat rock. Someone else had it for dinner that night — not me. These days, light bulbs still swing in the breeze — but, no longer naked, they're dressed in gourd lampshades. I sit under an eave enjoying the view. I love gazing into the misty Mediterranean, knowing the next land is Africa. The inky waves churn as the red sun sets. While Kardamyli is an intoxicating retreat, the most charming town in the Peloponnese is Nafplio. Nestled under cliffs at the apex of a vast bay, Nafplio has a unique pride. 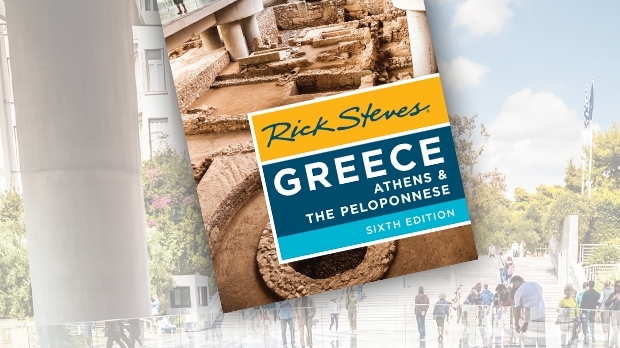 Its role as the first capital of independent Greece once made it a prestigious port town. And although its glory days have faded, the town retains a certain genteel panache, with palm-tree waterfronts, and narrow and atmospheric back streets lined with stately Venetian houses and inviting shops. Owing to its past, Nafplio's harbor is guarded by three castles (all wonderfully floodlit at night): one on a small island, another just above the Old Town, and a third capping a tall cliff above the city. 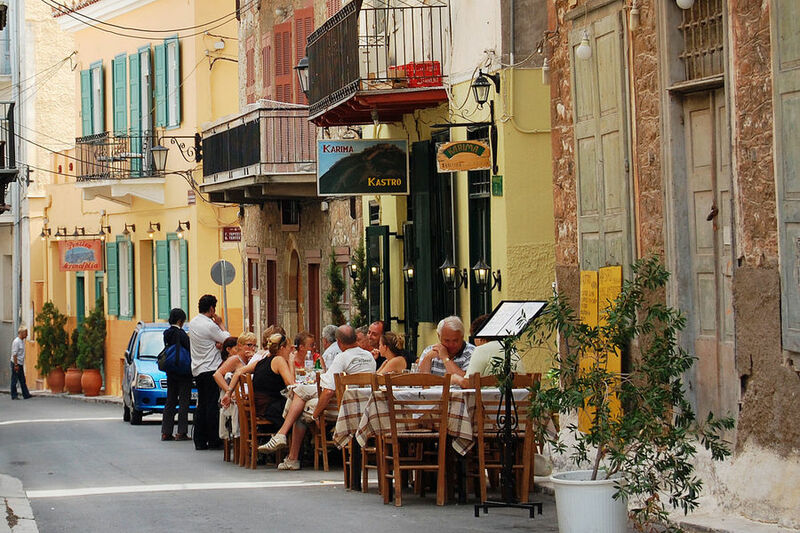 Nafplio also serves as a handy home base for touring the historic ruins of Mycenae and Epidavros. With its harborfront setting and pleasant present-day vibe, Nafplio doesn't even need tourists — and doesn't disappoint them. 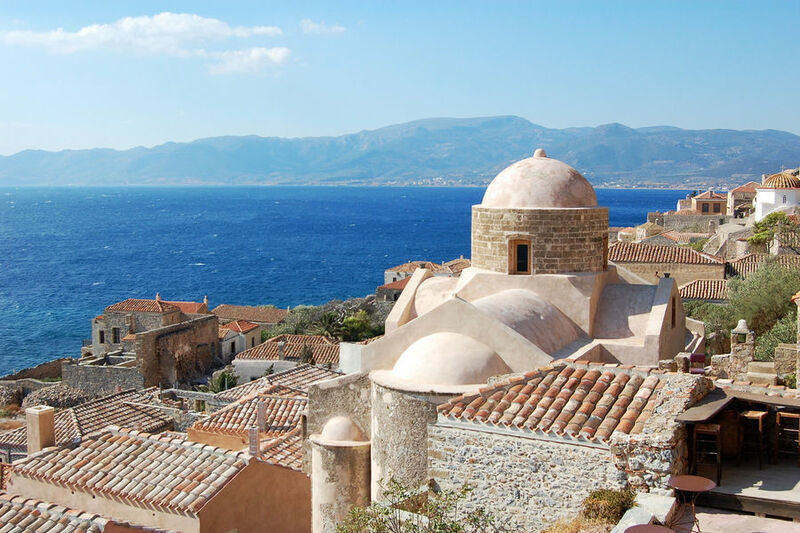 Another Peloponnesian retreat is Monemvasia — a Gibraltar-like peninsula with million-dollar views. Tucked along the southeast coast, this gigantic rock juts up improbably from the blue-green deep, just a few hundred yards offshore. The Lower Town hides on the sheltered side of the burly rock, tethered to the mainland by only a skinny spit of land (Monemvasia means "single entry"). A steep, zigzag path leads up to the even bigger Upper Town, whose fortress, in its day, was considered the mightiest in Byzantine Greece. Today its scant ruins sprawl evocatively across the broad summit. Climbing Monemvasia takes only about half an hour, but on top, spend as long as you want, getting lost in the Middle Ages. 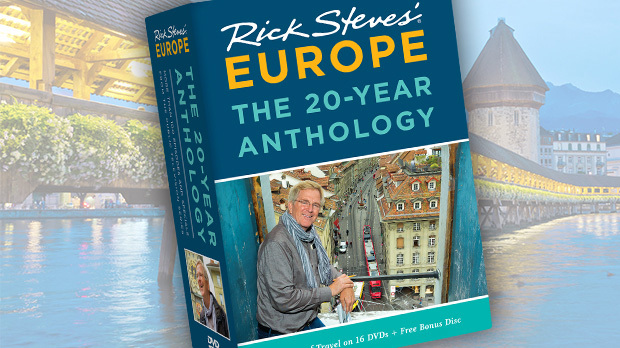 Since Greece has been going through tough economic times, nervous tourists have been avoiding it. But smart travelers know this means fewer crowds and cheaper prices. Traveling in Greece is safe, your vacation dollars are needed, and you'll enjoy a particularly warm welcome — especially in the characteristic countryside of the Peloponnese.